Kilbaha Multimedia Publishing has been supplying schools and students since 1978. NAPLAN Trial Tests can be downloaded from our Web Site https://kilbaha.com.au. This NAPLAN Blog is not endorsed by and has no connection to ACARA. NAPLAN 2019 runs from Tuesday 14 May to Thursday 16 May, 2019. In 2019 Kilbaha will supply BOTH interactive, online NAPLAN Trial Tests with automatic marking AND hard copy NAPLAN Trial Tests with detailed answers. All orders for the 2019 Kilbaha NAPLAN Trial Tests received up to and including Friday 26 April have been supplied to schools and parents. We are open over the school holidays (NSW, SA, WA, ACT, TAS) and for the start of term 2 (VIC, QLD, NT). Answers to 2015 and 2016 ACARA NAPLAN tests reduced from $10 to $3 for a limited time. 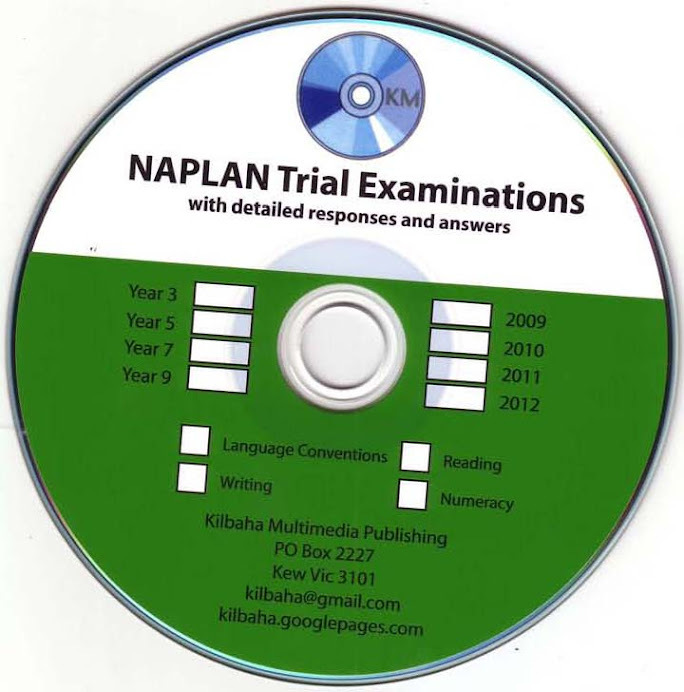 All orders for the 2019 Kilbaha NAPLAN Trial Tests received up to and including Saturday 13 April have been supplied to schools and parents. Yes, we are open during the school holidays! All orders for the 2019 Kilbaha NAPLAN Trial Tests received up to and including Friday 5 April have been supplied to schools and parents. All orders for the 2019 Kilbaha NAPLAN Trial Tests received up to and including Thursday 4 April have been supplied to schools and parents.